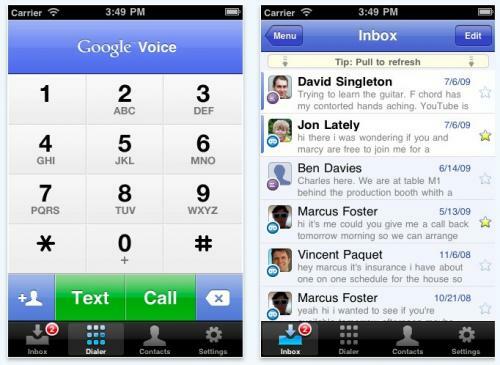 Google today announced that its official Google Voice [App Store] application for the iPhone is now available. After Apple tweaked its review guidelines for the App Store back in September, it began accepting Google Voice-related applications, and the company reportedly approved the official Google application late that month, but it has not been available until today. Google and Apple famously squared off over the Google Voice application, with Google claiming that Apple had rejected the application, citing duplication of the core functionality of the iPhone, while Apple claimed that it had merely not made a decision on the application, leaving it limbo for over a year.